Friday, Nov. 27, 2015 was a long day. First, a seminar with the group of Professor Rodica Ramer at the UNSW, followed by the working lunch. 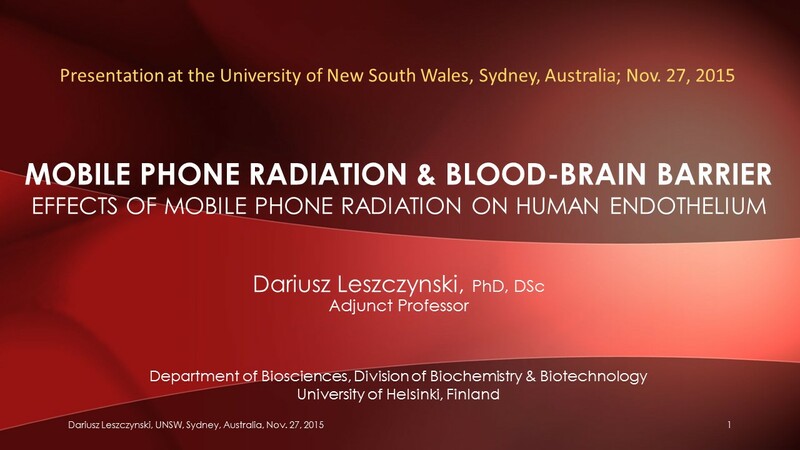 Slides of the presentation are available for download here SYDNEY November 27 2015. In the afternoon there was a 4 hours lasting interview with the ABC TV science program ‘Catalyst‘. Program on cell phones will be broadcasted some time in February/March 2016 and my interview will be a part of it. This entry was posted in Mobile phones and health and tagged ABC TV, Catalyst, Rodica Ramer, Sydney, University of New South Wales, UNSW by dariuszleszczynski. Bookmark the permalink.